to put your business on a solid foundation. Get a plan and know you’ll make it. Get the right people and share the weight. Set goals and get everyone aligned. Set up feedback systems and see where your making or losing money! Find out what you need to know about your business. You can run a profitable business in any market. Working with Suiter Business Builders, you’ll learn the strategic steps to building a business that thrives. Find out more about Vicki’s speaking topics and how to hire her to speak at your next event! See Vicki’s articles and the Business Builder Blog for ideas about how you can start running your business more effectively now! Get a clear picture of your company’s financial health — and guidance help managing it — with this useful collection of tools and templates. Find out what your business wants to tell you. Feeling exhausted from trying to squeeze enough money out of every project — while still being competitive enough to get new clients in? We can help. Get new perspective on your business. Gain control of your pipeline and the sales process. Show real profit on your bottom line. Get the support you need and the cooperation you want from your staff. Have the business you always wanted — with more money, more time and even more fun than you’ve ever had before. Now is the time to put in the foundations, structure and systems your business needs to stand strong. Vicki Suiter made the light go off in a subject I formerly hated. I can’t believe it, but now it excites me to have monthly meetings, to plan and see where the business is going. Vicki Suiter helped me put the systems and people I needed in place to sustain and grow my business. Now, I put in half the time I used to and get much more done. People who follow Vicki’s advice get more time, more profit and more fun out of their businesses. Unless you’re as successful as you can imagine being, you’d be foolish not to hire her. 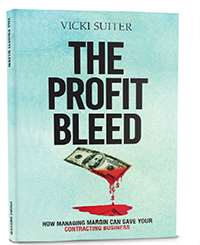 Hear Vicki speak on creating more profit…more time…and more fun in your business! Vicki’s keys to building a business that thrives. 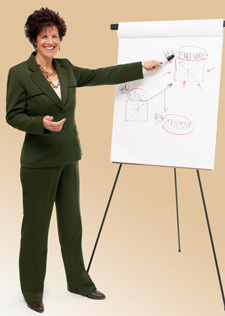 See what audiences say about Vicki’s presentations. See who Vicki has delivered speaking engagements for. Find out where you can see Vicki next.